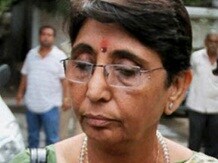 Gujarat High Court on Friday acquitted former Bharatiya Janata Party (BJP) minister Maya Kodnani in the 2002 Naroda Patiya riot case in which 97 Muslims were killed following the Godhra riots. Maya Kodnani was sentenced to 28 years of imprisonment. However, the conviction of Bajrang Dal leader, Babu Bajrangi who had also moved the court challenging the previous ruling, was upheld. He was sentenced to life imprisonment till death. A division bench of the court comprising justice Harsha Devani and justice A. S. Supehiya concluded the hearing and reserved the order in the case last August. In 2012, a special court for Special Investigation Team (SIT) cases had sentenced 32 people to life imprisonment. Apart from this, seven accused were given enhanced life imprisonment of 21 years and the remaining were given simple life imprisonment for 14 years. All the convicts had appealed against their conviction in the High Court. Around 58 people lost their lives when the S-6 coach of Sabarmati Express was allegedly torched at the Godhra Railway Station on February 27, 2002. Following the incident, on February 28, the Vishwa Hindu Parishad and Bajrang Dal declared Gujarat Bandh. A total of 97 people were killed by rioters in Ahmedabad’s Naroda Patiya area on this day.